Every year I like to take a quick look at what I was up to and consider some ideas for the New Year. Here is this year's recap. In January, I had a great conversation with a friend who suggested the best way to remember things every year. So I wrote a post about his idea of making more milestones. For February, Matt and I went full nomad and traveled along the South Eastern coast for the month. 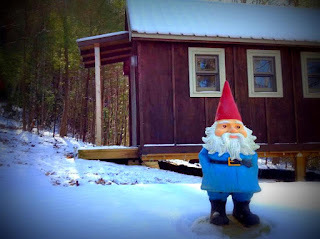 While we were traveling, I wrote about how the tiny house facilitated this kind of lifestyle and what it meant to me. While we can't hitch our home up and take it with us, it has made everything possible. March was another milestone for me as I celebrated my 40th birthday. But, in the same month, Life in 120 Square Feet celebrated 5 years! April marked yet another important day in the history of our journey. On Matt's birthday, three years earlier, I quit my job. In May, after we got home from the Tiny House Conference in Portland, Oregon, I wrote about the questions we were asked at the event. For June I took some time to write about how the feeling of not doing enough only paralyses us from doing anything at all. With summer in full swing, July was a time for reflection on the future and why I hate the idea of bucket lists. This has been one of my most popular posts this year. 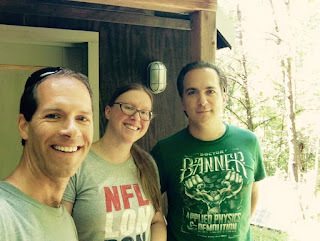 Life was a little lighter in August when Matt and I welcomed Kai of Tiny House Dating and Tiny House Lending to our own tiny home. As Autumn fell across our mountain in September, we found ourselves looking at what we are doing now and forward at what we will be doing in the future. In October, I talked about some of the big changes happening in our lives including the small bungalow in the city of Asheville that now plays a large part of our lives. Continuing on the role of huge changes in 2015, we chose to sell the Element in November. I hope it has a good home now. December, of course is spend surrounded by friends and family as are visiting Michigan for the Holidays. We just got home from our trip yesterday. It was a lovely visit and now we are happy to be home. Each year, after I've looked back at what we've done, we consider what we have in store for the New Year. We pick a word, or a concept, that will be the focus of the year. 2014 was Hospitality and 2016 was Adventure. 2016 will be full of transitions that we are looking forward to, so I suppose that is as good a theme as any. 2016 will be a year of positive Transition. I can't wait to take you along on this journey.